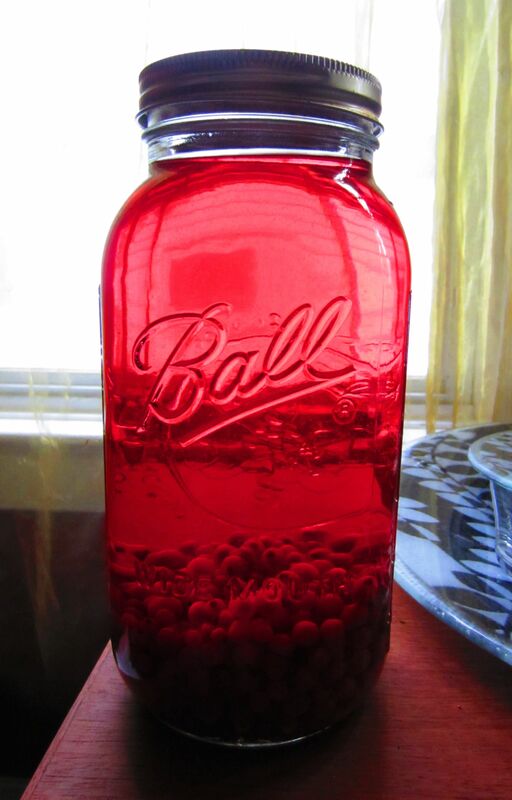 Our red currant vodka is aging gracefully in the cool, dark place where we put it and forgot about it. Yay memory loss! This entry was posted in compote something and tagged currant, vodka. Bookmark the permalink.